SALT LAKE CITY, UT, Apr. 5, 2016 – Respect for the wilderness. 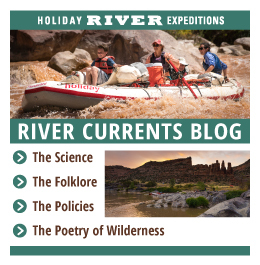 To Holiday River Expeditions that means using oars on rafts, never outboard motors. It also is reflected in the first sentence of their mission statement, “[our] goal is to preserve our nation’s wild lands.” What a more meaningful time to pursue that objective than mid-April when the U.S. and 193 other countries come together to celebrate Earth Day and worldwide support of environmental protection. 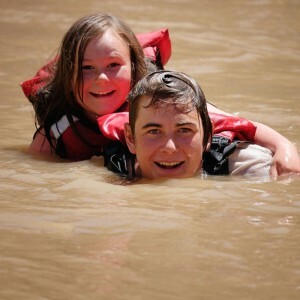 Wanting to give back to the rivers they float on as well as past and future guests who come along for the journey, Holiday River Expeditions (https://www.bikeraft.com/) is offering a limited-time promotion. 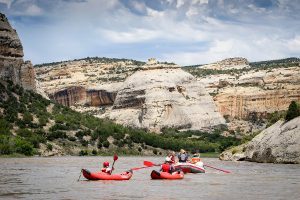 For anyone booking a Utah river trip between April 11-22, 2016, a 5% discount off the normal rate will be applied. In addition, the company will donate another 5% to the environmental nonprofit Living Rivers (http://www.livingrivers.org/) in support of their important river protection work.